A&T Human Resources (Pvt) Ltd., is an established HR solutions company, which was formed in Canada and recently opened its branch in Sri Lanka, engaged in the process of recruitment of professionals to contingency workers for the Corporate and SME sectors. 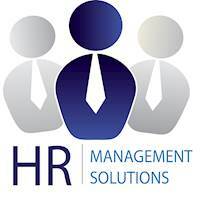 As a HR solution provider, we are in the process of providing organisations with recruitment solutions with the most efficient & qualified candidates whose curriculum vitas have been comprehensively screened and selected for the particular client’s job opening. A&T Human Resources (Pvt) Ltd., offers cost-savings, standardization of process, increased speed/quick response time and timely delivery and quality of service to our valued clients in their search for the best and the most capable “Man Power” available. Our well-trained staffs has the expertise to find the right talent in the skills set provided by your esteemed organizations as our aim to deliver excellence to all our clients. As a reputed organization our aim is to satisfy both our clients and candidates with our exceptional services, which will benefit both clients and candidates. We keep abreast with the latest technology and adapt to the ever-changing needs in the market place to serve our clients and candidates better and meet all your recruitment needs.